Bearing cocktail recipes and captivating questions, this booklet of coasters is the key to taking your party to a higher level. Out of small talk? Sick of discussing the weather? The Life of the Party Cocktail Coasters 2 booklet includes tear-out coasters bearing whimsical questions and cocktail recipes that will take your party to another level. Part of a two-volume set, these double-sided coasters are sure to expose a whole new side of your friends and loved ones. 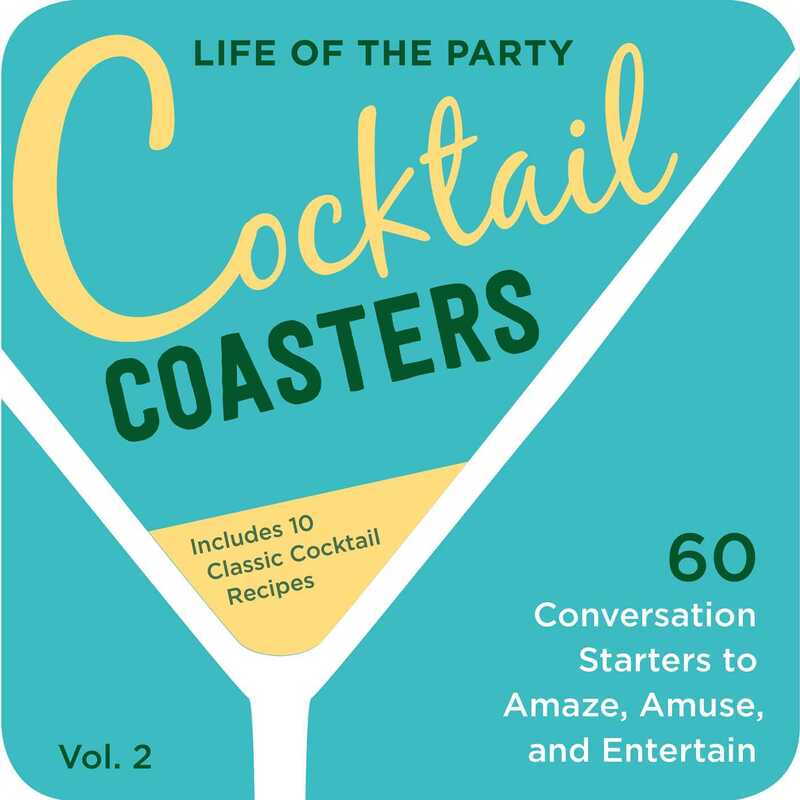 With 10 thought-provoking coasters conveniently bound into a booklet, Life of the Party Cocktail Coasters 2 is the perfect gift for your favorite host or hostess.